Famous for its well-designed balance of minimalism, functionality and eco-friendliness, Nordic designs are increasingly regarded as a winning formula for sustainable business growth. Hong Kong, given its close proximity to the production hub of southern China, has become a natural gathering point for Nordic companies, primarily serving their European clients with manufacturing across the border. Meanwhile, more and more entrepreneurial Nordic start-ups have seen Hong Kong as a good springboard to commercialise their innovative business ideas. Despite high income levels, Nordic people are very practical consumers. They have little interest in showing off, with purchase decisions usually focussed on more sophisticated concerns, such as design and innovation with respect to the use of materials, quality, functionality and environmental friendliness. This, together with the high regard for private and family lives and relatively high labour costs in the Nordic region, strangles the development of labour-intensive industries there. 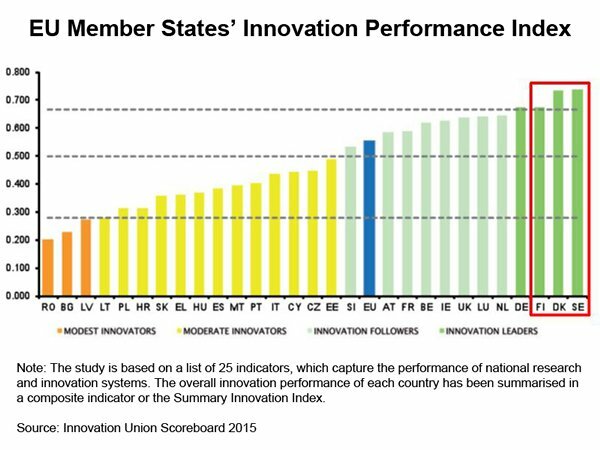 By contrast, “mind-intensive” industries, such as R&D, innovation and design represent the major business focus in the Nordic region. Given the relatively small domestic market size, the region’s specialisation in mind-intensive activities has bred a number of well-known enterprises offering innovative designs and solutions worldwide. In fact, Hong Kong consumers are not unfamiliar with innovative Nordic designs and technologies. Just to name a few, IKEA furniture, H&M clothing, Marimekko fashion, Fiskars tools and housewares, Volvo autos, Scania trucks, Danish designer chairs and furnishings, Angry Birds mobile apps and the free internet telephony Skype, are famous examples of Nordic designs and innovation. Nordic countries such as Sweden, Denmark and Finland have increasingly been seen as a beacon of design and innovation. 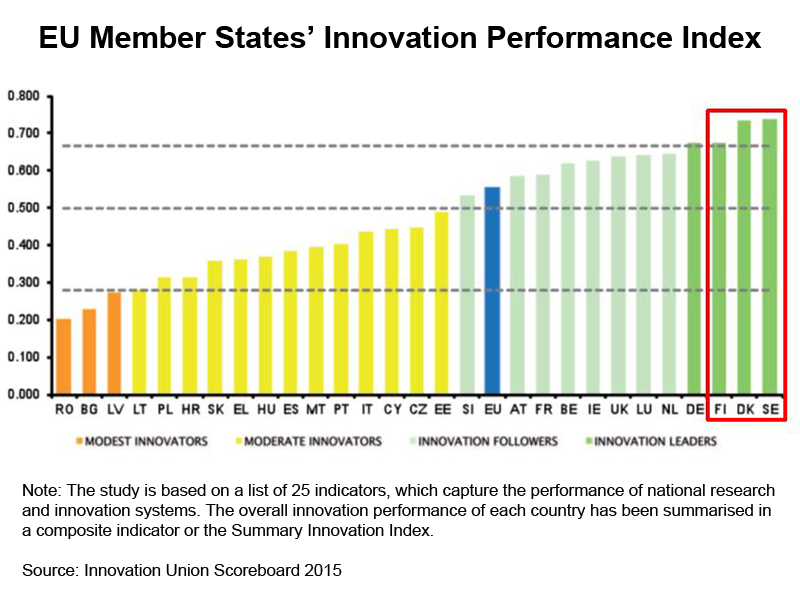 Thanks to their sound national research and innovation systems, they lead Europe in innovation performance, from research and innovation inputs, through business innovation activities, to innovation outputs and economic effects. Featuring modern style with minimum frills, and with a deep-rooted love of nature, the creativity of Nordic designers and innovative companies has been greatly sought-after. Their signature style’s balance of simplicity, minimalism, functionality and eco-friendliness has become a winning formula for sustainable business growth. 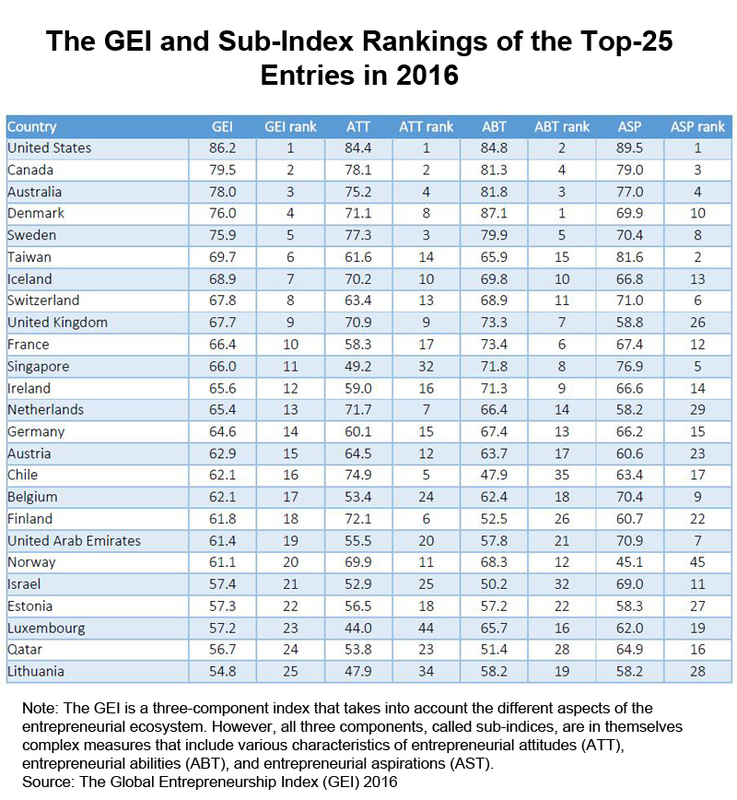 Scoring high on international benchmarks for entrepreneurship, the Nordic region is becoming a hotbed of entrepreneurship. For example, The Global Entrepreneurship Index (GEI) 2016, ranked Denmark and Sweden the fourth and fifth most entrepreneurial countries in the world out of 132 entries, surpassed only by the US, Canada and Australia. With the promotion of innovation and entrepreneurship being integrated at every educational level in most, if not all of the Nordic countries, many fresh graduates have chosen to start their own businesses with innovative business ideas fomented throughout their school life. With the aim of better serving their clients, primarily European companies with manufacturing activities in the Chinese mainland, many Nordic design companies – both well established and new start-ups – have opened studios in Hong Kong. This has been aided by the city’s extensive business network, unparalleled connectivity with the business ecosystems in the Pearl River Delta, robust legal and IP protection regime, as well as the world-class ICT infrastructure and professionals. Packaging design, prototyping and production management in the Pearl River Delta form the core part of their businesses in Hong Kong supported by services including as industrial design, mechanical design, graphical art and patent application. Given the reputation and aesthetic appeal of Nordic design, the rapid growth of Nordic design studios has also drawn the attention of other international companies with production across the border. Collaboration and crossovers between Nordic design studios and the local business community and academia have become more commonplace. Currently serving a range of globally recognised brands from both the EU and US, C’monde Studios, a Swedish industrial design studio based in Hong Kong, is taking advantage of the city’s close proximity to the production hub of southern China. The award-winning company is aiming to increase concept feasibility, implementation speed and supervision for a consistent design quality throughout the manufacturing process through its Hong Kong presence. Having a strong track record in brand and design management from Europe, Hong Kong and Southeast Asia, the founder of C’monde Studios believes that companies selling in developed, saturated markets such as Hong Kong have big demand for unique offers and creativity to add value to profit margins in the new era of industrialisation. In view of the shift of “industrial design” to “service design”, a more holistic approach in the design process is required to bring success to any company or industry at the beginning of a ‘Fourth Industrial Revolution’, a new era that builds and extends the impact of digitisation in new and unanticipated ways. The urgent need to increase the “ease of interaction” in order to enhance customer engagement across ages and social classes requires increasingly inputs from designers than engineers. This, together with the fast expanding pool of increasingly financially-capable consumers with higher expectations for design, will keep opening new windows for Nordic design companies, which are well-known for their practical engineering yet chic design. To this end, as well as providing prompt support to their Western clients, such as routine factory inspection visits to ensure consistency and compliance with design specifications, C’monde Studios has also completed several projects with local clients. 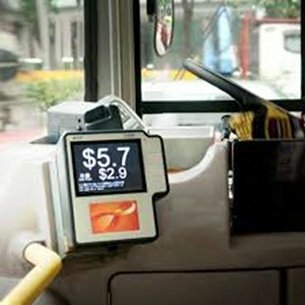 One example is Octopus Card Ltd, to improve the card legibility on selected Kowloon Motor Bus (KMB) buses by increasing the font size and intensifying the display contrast to better cater for passengers with reduced eyesight. 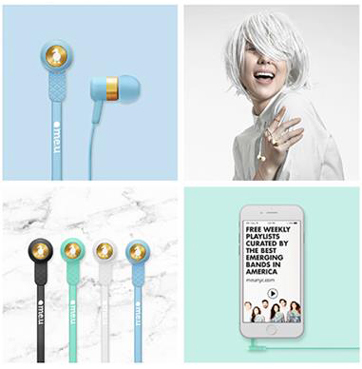 C’monde Studios is also developing its own earphone brand, after years of experience designing earphones for design-driven audio accessory brands, such as New York-based me.u and fashion brands like Swedish street wear label, WeSC (We Are the Superlative Conspiracy). Production for the self-developed earphones is in Shenzhen, with the prime market being the US, as well as entertainment retailing companies in Asia. 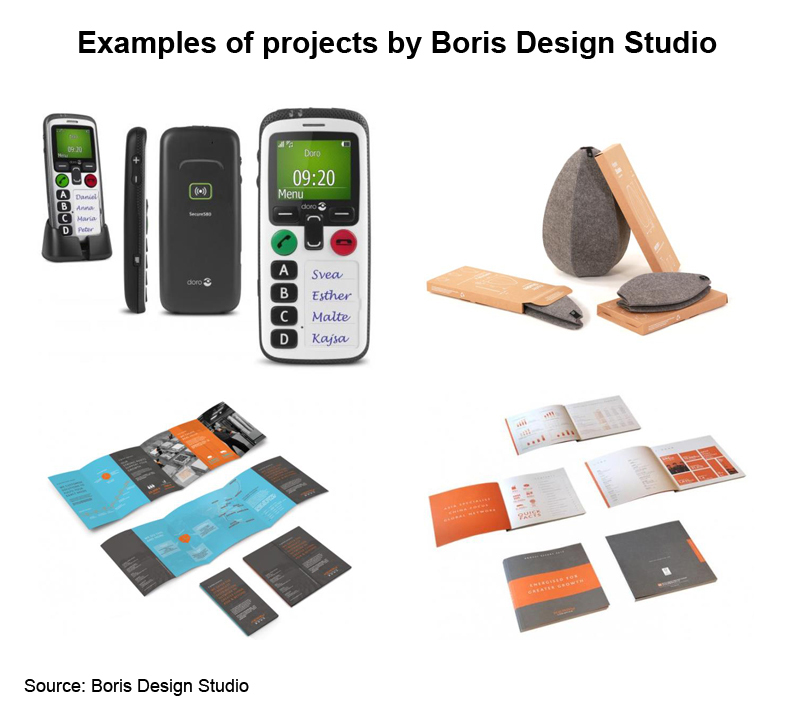 Another good example of Nordic design studios growing their business in Hong Kong is Boris Design Studio, founded in 2009 by two Swedish designers – one of them is a master graduate of the Hong Kong Polytechnic University School of Design. Boris Design Studio has developed a distinctive style of work, blending design, sustainability and technology. It is built on the three pillars of product and packaging design, identity and digital design (strategy behind a product/service via interactive interfaces including branding, interface design, user-experience design) and design trend research (e.g. research on material use and its marriage with production technology). The Studio has shown its capability for using creative tools and design thinking to push product development forward and to visualise complex and abstract future applications across a number of disciplines. Mobile phones were made easier to use for the elderly and vision impaired with easy-to-recognise buttons, built-in noise-blocking devices and simplified systems or apps. Lampshades were made more space efficient by an elegant folding mechanism, while corporate communications were made more effective, for clients such as Kerry Logistics, in its brochures and annual reports. Following the success of the Hong Kong office, including winning various awards, such as Hong Kong Lighting Design Competition by the Hong Kong Trade Development Council and the Design for Asia Awards (DFA) by the Hong Kong Design Centre (HKDC), Boris Design Studio has opened an office in Stockholm, where the founders have their roots. With offices in both Hong Kong and Stockholm, the company can make good use of the 6-hour time difference between the two cities to get design work and project implementation moving around the clock. In its more recent endeavours, Boris Design Studio has collaborated with other design centres and laboratories from San Francisco and Stockholm to visualise what form a potential catalogue for IKEA – the world-renowned Swedish furniture retailer – might take in 2030, when the Internet of Things (IoT) might take over. Although it is only a design fiction and not an official view from IKEA, it is a testimonial to Boris Design Studio’s capability to turn innovative ideas into a trump card to future business success. Hong Kong, playing to its strengths as a service economy and a fast-growing start-up hub, is proven as an enabler linking ideas, capital, talents, production facilities and markets. Looking ahead, the newly established Innovation and Technology Bureau (ITB) and the Academy of Sciences of Hong Kong, as well as the opening of the Hong Kong office of the Finnish Funding Agency for Innovation, Tekes, on 24 May 2016, for example, will further make Hong Kong a magnet for entrepreneurial, innovative and design-driven Nordic companies.